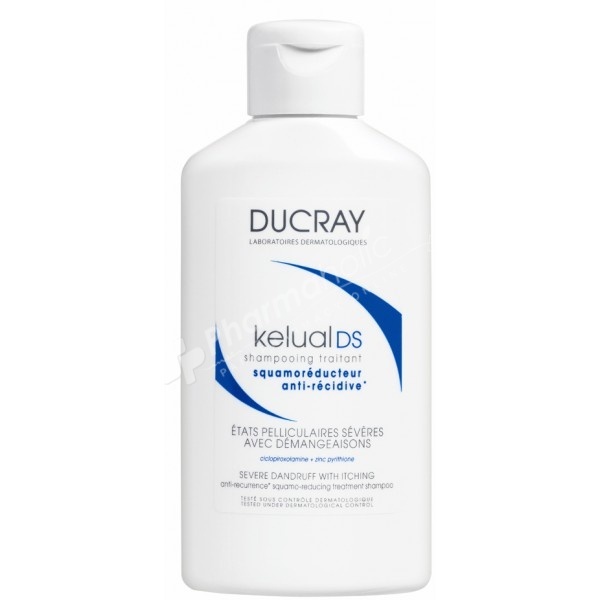 Ducray's KELUAL DS SHAMPOO is designed to treat moderate to severe dandruff conditions of the scalp, associated to redness and itchings of the scalp. To achieve maximum results use in conjunction with Ducray's KELUAL DS foam. This shampoo gives long-lasting relief from dandruff and rapidly soothes the scalp. Its complete formula is made from purifying complementary actives and it acts on all the factors involved in severe dandruff conditions. Kelual DS Shampoo prevents recurrence. 1 application per week as maintenance can prevent dandruff from reappearing for a long time.